Clinically-focused and consumer-inspired, Quantum Rehab products are engineered and manufactured to meet the widest range of complex rehab needs with functional, durable, stylized, high-performance designs to increase daily functionality and quality of life. At Quantum, consumer needs and wishes are the driving force. We’re dedicated to not just meeting medical and clinical needs, but also quality-of-life needs. From the most advanced power seating for pressure management to USB ports, Bluetooth® and fender lights, no consumer need is overlooked. 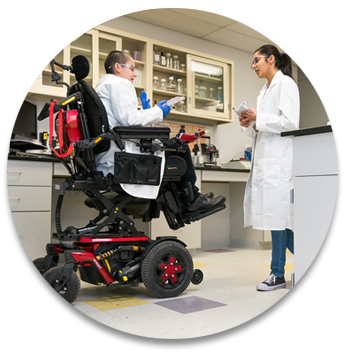 Our Research & Development staff is comprised of committed professionals, including top complex rehab product specialists and engineers, occupational and physical therapists, as well as high-end wheelchair users, themselves. Quantum knows that in order to serve the community, we must be part of it, and likewise consumers are involved in every aspect of the design process. This commitment is further exemplified by the industry-leading, high-tech Quantum R&D facility that perfects the designs of today, while innovating the future of complex rehab technology to liberate lives even further. With such focus and vision, Quantum leads the market with innovations in power bases, seating and drive controls. 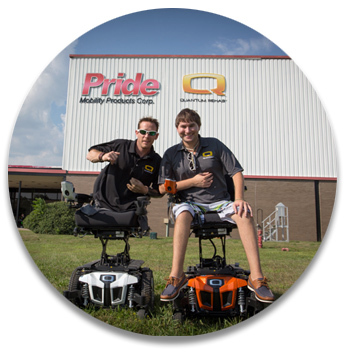 As a global innovator, Quantum products include the Edge 3, Q6 Edge® 2.0, 4Front®, and other power bases, iLevel® seat elevation technology, TRU-Balance® 3 Power Positioning Systems, Q-Logic 3 Advanced Drive Control System, and Stealth Products® cushions and positioning components. The design of the Edge 3 Power Chair is for the most advanced power chair experience ever! Upgraded SRS (Smooth Ride Suspension) provides a smooth, comfortable ride and advanced stability. Optional iLevel is available at 4.5 mph with up to 12" of power adjustable seat height. Our award-winning, patented iLevel® seat elevation technology offers enhanced stability. 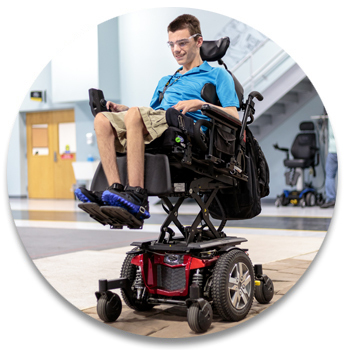 iLevel technology is the first power wheelchair that allows stabilized, standing-height elevation at 12” with speeds at 4.5 mph for increased environmental access and social inclusion. 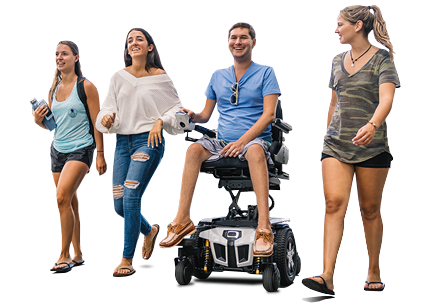 The 4Front is Quantum’s first front-wheel drive chair that addresses real world needs with a suspension system that encompasses ride quality, performance and safety. The 4Front features CASE (Caster Angle Sensor Encoder) technology and SRS (Smooth Ride Suspension) provide stability for smooth obstacle transitions and unmatched driving performance. Optional 10” of safe seat elevation at 3.2 mph is also available. Headquartered in Duryea, Pennsylvania, Quantum also has operations in Australia, Canada, China, Italy, the Netherlands, New Zealand, and the United Kingdom. Quantum Rehab® is dedicated to being the premier global innovator of consumer-inspired complex rehab mobility technologies that not only deliver medical comfort, but also the features needed toward overall well-being, serving the entirety of users’ activities of daily living.